Leave it to the Zara to always keep us guessing. The brand has coined its latest collection Timeless, and instead of the usual bevy of youthful models that the brand employs, it opted to use models over the age of 40. In the campaign, the established (and stunning) models Malgosia Bela, Yasmin Warsame, and Kristina de Coninck muse about what getting older means to them, and how aging has affected their style. The collection is filled with ageless pieces that will stay in style for years to come. 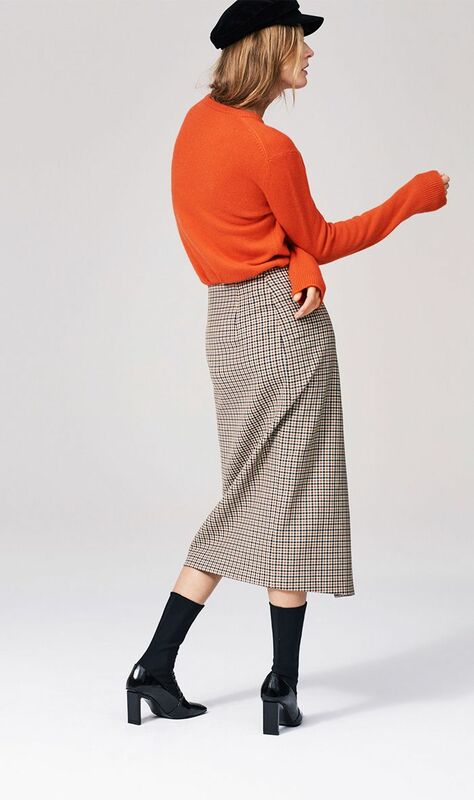 Of the offerings, we have our eye on a chic plaid wrap midi skirt, a classic red coat, and a pair of vintage-inspired jeans that look authentic. It all just goes to show that Zara isn't just for "younger women," and the brand seems to be making a conscious effort to remind the world of that with this new collection. This is music to our ears, as we have no desire to stop shopping there when we reach a certain age. Keep scrolling to shop our favorite pieces from the Timeless collection, and check it out in its entirety here. We'd style this exactly like Zara did. This is not your average trench coat. You need a red coat this season. These look way more expensive than $70. Next up, check out what we think will be Zara's It bag for fall.